Moringa oleifera, otherwise known as the Drumstick tree, horseradish tree, benzolive tree, benzoil tree, or marango, among others, is a tree that grows in tropical and sub-tropical environments, India, Oceania, Latin America, Africa, and Asia. Moringa has been called a “miracle tree” because of its exceptional medicinal properties. Its leaves have been used as part of traditional medicine for centuries, and the Ayurvedic system of medicine associates it with the cure or prevention of about 300 diseases. Moringa is a powerful anti-inflammatory, antioxidant, and has tissue-protecting properties. In fact, in 2008 the National Institute of Health called Moringa (Moringa oleifera) the “plant of the year,” noting that “perhaps like no other single species, this plant has the potential to help reverse multiple major environmental problems and provide for many unmet human needs.” Moringa leaves are loaded with vitamins, minerals and essential amino acids. Twenty-five percent in one leaf, to be exact, which is pretty unusual for a plant. Moringa powder contains 9 essential amino acids, which makes it a complete source of protein. It supports the growth of your muscles, and helps to maintain muscle mass. Bonus: Moringa is great for vegetarians and vegans who have a hard time getting a sufficient supply of protein. 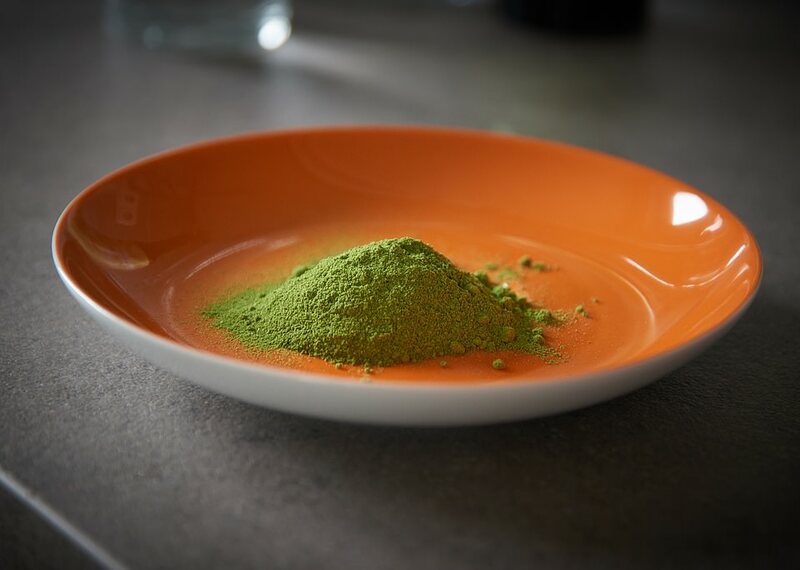 Thanks to its high levels of iron, Consuming Moringa daily reduces tiredness and fatigue. Iron enriches our blood and carries life, energy and oxygen throughout our entire bodies. If you’re a real daredevil, try switching out your morning cup of coffee for Moringa tea. Antioxidants are what rid our bodies of free radicals, which in high numbers, can lead to type 2 diabetes and heart disease. Moringa contains antioxidants like beta-carotene, Vitamin C, Chlorogenic acid, and Quercetin. A daily dose of Moringa will lead to higher antioxidant levels in your blood. Chronic inflammation can eventually cause several diseases and conditions, including some cancers, rheumatoid arthritis, atherosclerosis, periodontitis, and hay fever. Moringa suppresses inflammatory enzymes and proteins in the body. During one study, it was found that the bioactive compounds in Moringa reduces chronic inflammation and the diseases that come with it. In a recent study, a group of Korean researchers found that water-soluble extracts of Moringa leaf can potentially induce the cell death of various cancers, including as lung, breast, and skin and others. Cancerous growths are triggered by free radical damage at the cellular level, and Moringa contains kaempferol, quercetin, and rhamnetin, which are agents that help protect your cells against free radical damage. High amounts of cholesterol in the blood have been linked to heart disease. Studies conducted for both animals and humans have shown that Moringa may have the same cholesterol lowering effects as flaxseeds, oats and almonds. Many parts of the world are affected by arsenic contamination of food and water, particularly in rice. Though arsenic in food or water doesn’t cause symptoms of toxicity right away, in the long term, it could lead to cancer and heart disease. Moringa has been shown to protect against arsenic toxicity in mice and rats, and is believed to have the same effect on humans. Moringa oils and fiber have a detoxifying effect to help scrub your bowel of waste and toxins allowing you to fully absorb nutrients from the foods you eat. Ulcers, gastritis, and gastric cancer are all byproducts of H. pylori—a bacteria that can be fought with the anti-bacterial properties of Moringa. Clean water is a luxury in many parts of the world (alarmingly), and since they don’t have access to water purification machinery, Moringa is the next best thing. Unclean water can harbour deadly diseases, which is one cause of high death rates in developing countries. Recently, scientists conducted a study, and found that a cationic protein in the seeds kills bacteria by gathering them into clusters, separating them from the water. Now, with this knowledge in mind, imagine what it does for your body when its consumed. Adding Moringa to your diet is the best thing you can do for yourself right now. The term “superfood” cannot be used lightly when describing this plant. Head out to a health food shop and buy dried leaves, powder, or in tea form. Add it to your smoothies, salads, soups, anything, really, and enjoy the amazing effects it will have on your mind and body.